Meanwhile, contractors and the industries that work with them have continued to adapt and find new ways of making this way of flexible working possible, and advantageous for contractors and clients alike. However, with so many more potential changes to the way that contractors work on the horizon, on top of other recent issues and legislative changes, there is understandably much uncertainty in the current market. 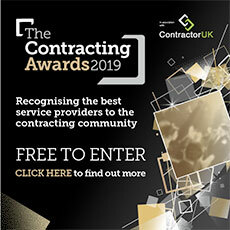 This is why ContractorUK wants to know what you think and how you see your contracting career being impacted over the coming months; whether you believe you will be drastically affected or not affected at all, we want to hear from you. Your feedback will enable us to continue to provide you with only the most relevant and topical content from industry experts across the board, as we have done now for over two decades. So, what obstacles you are you currently facing? What do you need more advice on? What are your worries, and how can we help? Providing us with this information allows us to continue to support you throughout your contracting journey as best we can. By filling in this short survey you can also enter into a prize draw for a £100 Amazon voucher. To be eligible for the prize you must enter your email address, which will be used for the sole purpose of notifying you should you win.